Did you know your smile is one of the first things people notice about you? Make sure your smile is one that you are confident to show off! At Petry Family Dentistry, we offer family-friendly, comprehensive dental services to patients in every stage of life. We operate out of two offices in Lafayette and Franklin, LA and serve patients from throughout surrounding areas. Dr. Petry and our team go out of their way to make sure every patient feels welcome and relaxed during their appointment. We utilize state-of-the-art technology to ensure our patients receive modern, thorough care. 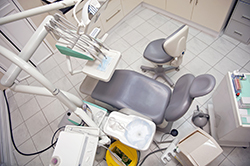 This includes intraoral cameras and digital imaging equipment. Both of these allow us to detect problem areas in their early stages. We want to help our patents avoid costly dental procedures. Committed to providing the best dental treatments available, the attention our patients deserve, and the ability for our patients to have a say in the dental work they receive; we are one of Lafayette's most trusted dental offices. Whether you are a new or existing patient, we are here to help you improve your smile. For dental care you can trust and rely on, contact us at 337-233-5494 (Lafayette) or 337-828-5555 (Franklin) to make an appointment today!